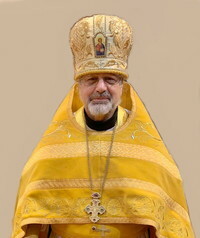 Archimandrite Philip [Speranza], 71, Associate Pastor of Toronto’s Christ the Savior Sobor, fell asleep in the Lord on February 4, 2019. Visitation will be held at Christ the Savior Cathedral, 823 Manning Ave., Toronto from 6:00 until 9:00 p.m. on Tuesday, February 12. A panikhida will be celebrated at 7:00 p.m. On Wednesday, February 13, His Eminence, Archbishop Irénée of Ottawa and Canada will preside at the celebration of the Divine Liturgy at 8:30 a.m., after which the Funeral Service for a Priest will commence at 10:00 a.m. Interment arrangements will be announced at a later date. May Archimandrite Philip’s memory be eternal!